The Sabian B8 Series Performance Cymbal Package offers bronze-quality design with tight and bright sounds. This convenient B8 series cymbal pack includes a pair of 14 inch Hi-Hats, 16 inch Crash, 20 inch Ride, and a free 14 inch B8 Thin Crash. 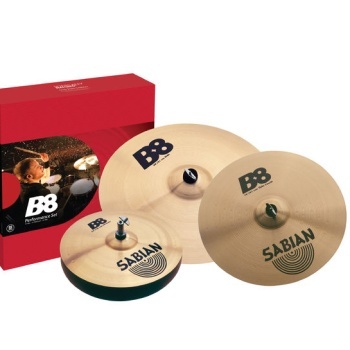 The Sabian B8 Series Performance Cymbal Package is ideal for any new player or a great secondary set for your practice kit.